Charles Hermite was a noted 19th century French mathematician known for his work on number theory, quadratic forms, and elliptic functions. Check out this biography to know about his childhood, family, life history and achievements. Charles Hermite was a noted 19th century French mathematician known for his work on number theory, quadratic forms, invariant theory, orthogonal polynomials, elliptic functions, and algebra. From the very beginning, he was more interested in advanced studies than in his curriculum, publishing two important papers while he was still in his secondary school. Later, he entered École Polytechnique to study mathematics but because of a deformity in his right feet, which required him to use a cane, he had to leave the academy the following year. He studied privately for five years and earned his baccalauréat and licence at the age of twenty-four. Meanwhile he started corresponding with eminent mathematicians, writing down his discoveries in the letters. 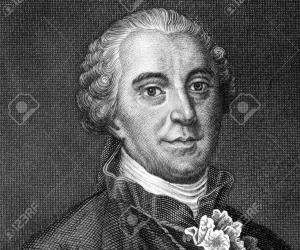 Indeed, in spite of his phenomenal researches, he had few publications to his credit; circulating most his discoveries through letters, short notes and course lectures, which formed the basis of further research by other mathematicians. 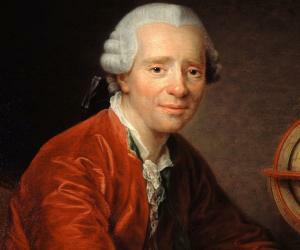 He was also a grand teacher, being appointed professor of analysis both in École Polytechnique and Sorbonne. In spite of his deformity, he was always in a happy mood, dividing his time between his family, teaching and research. Charles Hermite was born on December 22, 1822 in Dieuze, located in the north-eastern France. His father, Ferdinand Hermite, was an engineer by education, but an artist by inclination. Before his marriage to Madeleine nee Lalleman, he briefly worked in a salt pit, later looking after his in-law’s draping business. Ferdinand and Madelein had seven children, out of which Charles was born sixth. He had four brother and two sisters. Charles was born with a defect in his right foot, which hampered his movement. The deformity greatly worried his parents because they knew it would get in the way of his career later in life. But having a happy disposition, Charles bore it quite cheerfully. In 1828, when Charles’ family relocated to Nancy. Although his parents did not take much interest in their children’s education they sent all of them to good schools; Charles was admitted to Collège de Nancy. After graduating from Collège de Nancy, Charles Hermite moved to Paris, where he initially studied at Lycee Henri IV. Here, he studied physics with César-Mansuète Despretz and was greatly influenced by him. However, he did not continue here for long, moving to Lycée Louis-le-Grand in 1840. At Lycée Louis-le-Grand, he studied mathematics with Louis Richard, who years ago had taught Évariste Galois. Although he had entered the institution with the intention of preparing himself for the entrance examination at École Polytechnique very soon his attention began to dither. Under Richard’s direction, he began to read works of famous mathematicians like Euler, Gauss and Lagrange. Among the books the eighteen year old read were ‘Disquisitiones arithmeticae’ by Gauss and ‘Traité sur la résolution des équations numériques’ by Lagrange. However, he did not give up his goal. In 1841-1842, in order to prepare himself for the entrance examination at École Polytechnique, he began to study with Eugène Charles Catalan. Concurrently, he also began original research in mathematics, writing his first published work, which appeared in the Nouvelles Annales de Mathématiques, a French mathematical journal, in 1842. In 1842, Hermite appeared for the entrance test for École Polytechnique. But, because of his extracurricular studies, he barely passed his examination and attained 68th place in the list. He joined the institution in the same year. 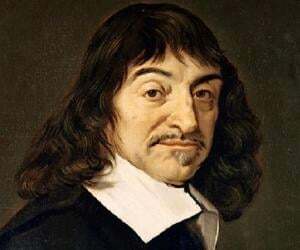 At École Polytechnique too, he began to pay more attention to extracurricular studies, concentrating on Abelian functions, which was of great interest to the European mathematicians of that time. It somehow led to his acquaintance to Joseph Louisville, a well-known mathematician. In 1843, Charles Hermite was asked to leave École Polytechnique because of his deformity. École was a military academy and since Hermite use a cane, he was considered physically unfit. After some influential academics intervened on his behalf, he was allowed to continue his studies at École; but was given some very strict stipulations, which was unacceptable to him. Therefore he left École and for next five years, studied in private, passing his examination for baccalauréat and licence in 1847. The period between 1843 and 1848, was not at all unproductive for Hermite. Although he was still an undergraduate, lacking in any kind of formal degree, his began to be much admired by the well-known mathematicians because of his research works. 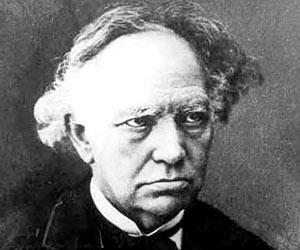 From January 1843, he began to correspond with Carl Gustav Jacob Jacobi, a German mathematician with immense contribution to mathematics. During this period, Hermite wrote not less than six letters to him. In the first letter to Jacobi, he wrote about his work on Abel’s theorem. In his second letter, written in August 1844, he wrote about the transformation of elliptic functions. The other four letters were on number theory. Jacobi was so impressed by these works that he used extracts from these letters, inserting them not only in his own ‘Opuscula’, but also in Crelle’s Journal. During this period, Hermite also worked with Joseph Liouville, contributing significantly to Liouville’s works. In 1848, Charles Hermite began his career as répétiteur and examinateur d'admission at École Polytechnique, the same institution he was asked to leave six years ago. In the same year, he proved that doubly periodic functions can be represented as quotients of periodic entire functions. In 1849, he submitted a memoir to the Académie des Sciences, in which he applied the residue techniques discovered by Augustin-Louis Cauchy to doubly periodic functions. While both Cauchy and Charles-François Sturm gave good report, it could not be published because of a priority dispute with Liouville. 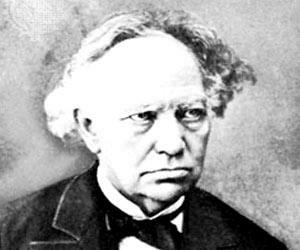 From early 1850s, Hermite started working on the theory of quadratic forms, for which he had to study invariant theory. While doing so, he discovered a reciprocity law concerning binary forms, finally creating theory of transformations in 1855. In the same year, he published 'Sur quelques applications des fonctions elliptiques'. In 1858, he showed that one could solve an algebraic equation of the fifth degree by using elliptic functions. It is one of his most important works, making him rightly famous. In 1862, École Polytechnique created the position of maître de conference especially for him, appointing him to the post. In 1863, he was appointed an examinateur de sortie et de classement there. Also from 1862 to 1873 he was lecturer at the École Normale Supérieure. In 1869, Charles Hermite was appointed as the professor of analysis at École Polytechnique and remained there until 1876. In 1869, he also received appointment at Faculty of Sciences of Paris and remained in this position till his death. In 1870s, he once again started working on problems, relating to approximation and interpolation. In 1873, he proved that ‘e’ is a transcendental number. 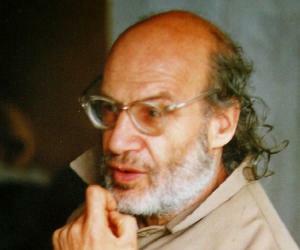 In the same year, he also published his second major book, ‘Cours d'Analyse de l'École Polytechnique Première Partie’. Continuing to work, he made many discoveries, which though minor in nature, laid the foundation of further research by other mathematicians. For example, by adapting Hermite’s proof that ‘e’ is a transcendental number, Felix Lindemann, a mathematician, obtained the transcendence of π in 1882. It is a fact that Hermite’s contribution to mathematics is more than what meets the eyes. That is mainly because he had a habit of disseminating his discoveries through letters, short notes and courses. In addition to his research works, he continued to teach, publishing 'Cours professé à la Faculté des Sciences' in 1891. This is his last work to be published during his life time, with ‘Correspondance’ being published posthumously in 1905. Charles Hermite is most famous for his 1858 work on algebraic equation of the fifth degree. Although such equations cannot be solved in radicals, he showed that it could solved by using elliptic functions, creating a new branch of algebra. Later he applied the results to class number relations of quadric forms. On 14 July 1856, Hermite was elected to the Académie des Sciences in Paris. In 1892, he was promoted grand officer of the Legion of Honour. In 1848, Hermite married Louise Pauline Arsène Bertrand, sister of fellow mathematician Joseph Louis François Bertrand. Together, they had two daughters, Isabelle Caroline Ferdinande Forestier nee Hermite and Marie Picard nee Hermite. In 1856, Hermite contracted small pox. During this ailment, Augustin-Louis Cauchy provided him a strong moral support. Under his influence, Hermite returned to Roman Catholic fold and became royalist, a belief he held until the very end. Hermite officially retired from work in 1897. He died around three years later on 14 January 1901 in Paris, at the age of 78. A number of mathematical entities such as Hermite polynomials, Hermite's differential equation, Hermite's formula of interpolation and Hermitian matrices continue to carry his legacy. .
Henri Poincaré, one of Hermite’s best known students, wrote about him, “But to call Hermite a logician! Nothing can appear to me more contrary to the truth. Methods always seemed to be born in his mind in some mysterious way”.